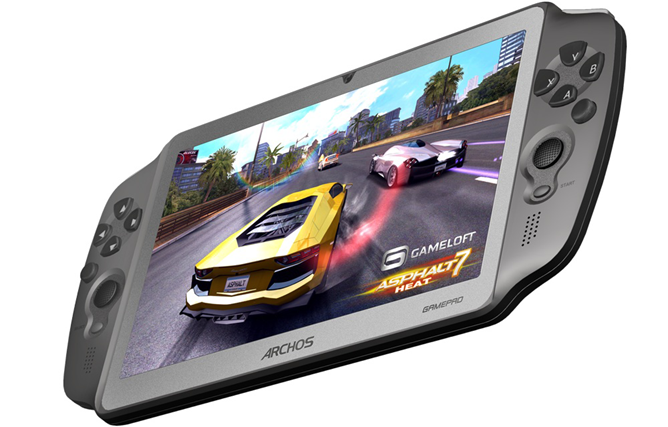 ARCHOS, in an announcement that ambitiously looks to "revolutionize" Android gaming, has just unveiled the GamePad – a 7-inch, dual-core gaming tablet with built in controls (including buttons, a d-pad, triggers, and analog sticks) that remind us a little bit of Sony's PSP. The interesting bit about this tablet is that it includes "automatic game recognition and mapping tools" which ARCHOS promises will "ensure control compatibility with every advanced Android game." Of course, one of the most important things about a mobile device meant to center around gaming is its spec sheet. We aren't privy to the entire list of specs just yet, but here's what we do know: the GamePad will pack a yet unspecified dual-core processor at 1.5GHz with a Mali 400 quad-core GPU. Thanks to the mapping and automatic game recognition systems included on the GamePad, we already have over a thousand Android games compatible with the ARCHOS GamePad's physical controls, including back catalog titles that originally didn't include physical controls. As for pricing and availability? ARCHOS, in its press release, indicated that the device will be available starting in October for "less than 150€," with no mention of region or exact date. Of course, we'll keep you updated as more information about the GamePad is revealed. 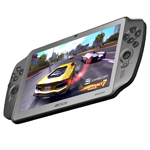 Until then, ARCHOS encourages game developers to get their games mapped for the device by emailing [email protected].